David Marbain has been involved with environmental protection work since his youth, when he engaged in reforestation projects in Canada. He is an ardent advocate of the conservation of our natural resources, species, habitats, and indigenous cultures and their native languages. As a close ally of many different indigenous ways, David is a passionate supporter of ceremonial and traditional uses of plant medicines. He has personally conducted ceremonies for more than 30 years and lives by the belief that the spirituality of the land and all that is living upon it as inextricably connected and created. He is a family man, a father and grandfather, and feel deeply fortunate to have learned from and been in the presence of some of the the most notable teachers of ceremonial ways in the country. Ruth Valdizon has been working ceremonially with the peyote cactus for more than 20 years and earned her Masters Degree in Special Education while raising five children. During this time, she has been directly witnessing the decline of this plant population as well as the disappearance of its natural habitat, which has inspired her to co-create Morning Star Conservancy with her husband. Throughout her life, Ruth has been an enthusiastic advocate of social justice and human rights. She has worked in major political movements affecting social change; as a community organizer in the United Farm Workers Union, and as an advocate for migrant workers. As a Guatemalan native, she has also worked in various non-profit organizations to stop military aid to Central America, whilst educating the public on human rights abuses there. 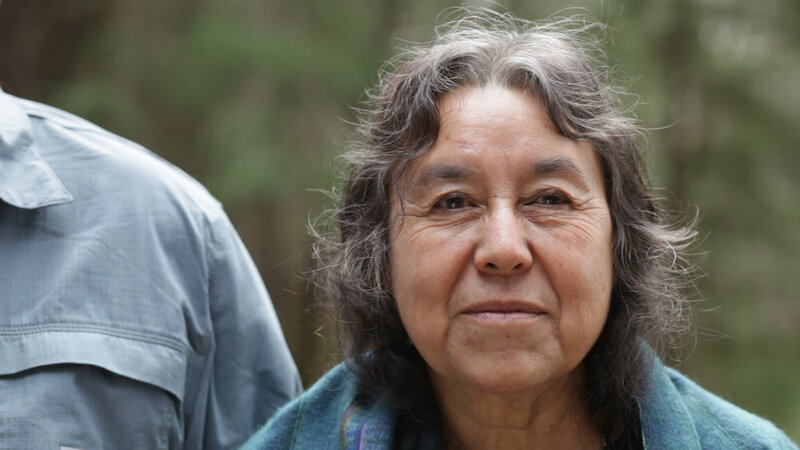 She brings her passion and vigor to the mission of MSC as an environmentalist, conservationist, and believer in the use of plants as spiritual guides and medicine. Randolph Thompson Jr. was born on the Navajo reservation near Shiprock in New Mexico. From the beginning of his life, he was chosen to learn and carry traditional Navajo ways because he listened and had a willing aptitude. His grandparents raised him and taught him the ceremonies and songs of his ancestors. Eventually he became an NAC roadman, being given a fireplace from his grandfather. He was also given a Comanche fireplace from the Eastern Shoshone tribe of Wyoming. He has been making pilgrimages to the peyote in the state of Texas since he was a small child and has witnessed all the changes affecting the peyote over the years. He frequently gives talks on his culture at universities and societies. He is sought after from people all over the nation, including the United Nations, as well as Canada and many other countries. His father was a Chief of the Southern Cheyenne tribe of Oklahoma and his maternal grandfather was a well-known peyote chief and medicine man of the Kiowa tribe. He also served in the military and is a Vietnam veteran. He has devoted his life being of service as an NAC roadman and medicine man and has helped people from all over the world. Recently Harvey has been studying the “Biology of Belief” by Bruce Lipton, based on scientific discoveries of mind and matter and the connection on how signals affect our health. Harvey beliefs are that our thoughts, conscious and subconscious can help heal our beings because we are the creation. He says, “ This creation wants to know what it can do for you”. Dedra White is an enrolled member of the Southern Ute Indian Tribe located in Durango in the Southwest Region of Colorado. The sacred medicine has been in the Tribe and family since 1890’s when Buckskin Charlie brought Peyote to the Southern Ute people from the Cheyenne/ Arapahoe Tribes. She is married to Crawford Larry White, Jr., Northern Arapahoe, Road Man and Indian Doctor, and has been active in the Native American Church (NAC) for the past 12 years. As a member of the NAC church she enjoys her role as water woman when asked to sit behind sacred medicine, Peyote. Dedra obtained her undergraduate degree from Fort Lewis College and her Masters in Counseling Psychology from University of Colorado; and continues to work towards her Juris Doctorate. Currently she is active in the revitalization and preservation of the Ute language and the protection of all endangered indigenous languages. The most important aspect in her life is the immediate concerns of the Peyote and the Morning Star Conservancy. Leonardo is a practicing ethnobotanist and plant whisperer whose specialty is cacti and succulent propagation. He was professionally trained as nursery manager for the University Of Arizona's Boyce Thompson Southwestern Arboretum and in landscape management for the university's main campus. As a former director of a not for profit peyote conservation organization and a practicing member of the Native Anerican Church, Leonardo has accumulated decades of observation and personal research into practical methods of propagation of conservatory sacramental gardens.